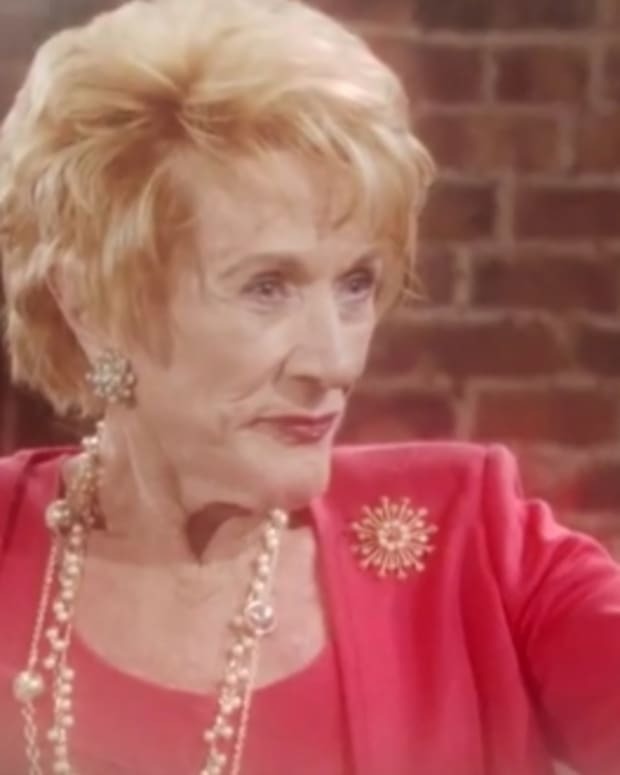 There won&apos;t be a dry eye at the Chancellor Mausoleum—Jill&apos;s (Jess Walton) nickname for that house, not mine—Friday on The Young and the Restless, as Kay&apos;s (the late Jeanne Cooper) friends and family gather together in her honor. We are crossing our fingers, our toes and any other body parts with the capability of crossing, in hopes Y&R gets this right. Judging from the above, exclusive pic of Jill, Nikki (Melody Thomas Scott) and Victor (Eric Braeden), they&apos;re off to a good start! Genoa City will never be the same.